When running an e-commerce business, shipping is probably the most important aspect of it and that is why you need to make sure that you handle it properly. The bad news is that many business people don’t really pay too much attention to it. As a result, clients get frustrated quite often. If you’re currently trying to make some changes in your business so that you can ship your clients’ items faster, below you’re going to find a lot of useful tips that can help you achieve that. There are many people out there that don’t really provide enough info on their website when it comes to shipping. To give them a helping hand, you need to change this as soon as possible and offer them details about the different types of shipping options available, cost of each and also delivery time. Make sure to impress your clients by delivering their items before the due date. 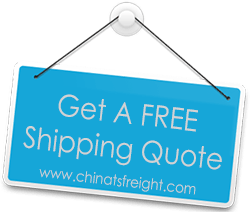 Free shipping is something that every client fully appreciates and that is why you should work hard in order to implement it for all your orders. Not only will your clients consider you their one-stop for anything that they need to get, but they’re also going to recommend you to their friends and family as well. Just make sure that even if you do offer them free shipping to shop the items they order fast and ensure they are delivered on time. Last but not least, if you want to ensure that your e-commerce website is going to be a complete success in the long run, you need to stay in touch with all of your clients. For instance, after they have ordered something from your website, you can configure your system so that they receive an E-mail with their order confirmation. Also, once you manage to ship their order, you should mail them again in order to inform them about this. If there will ever be any problems to pop up along the way, make sure that you have a dedicated customer support line that they can call and talk to real people, not robots. This way, your clients will have the peace of mind that whatever problem they’re having, it’s going to be fixed as soon as possible. All in all, by using these useful tips, you are going to increase your customer base and also your revenue pretty soon.